This section of the website provides information about the different areas of work that civic societies engage in. Its purpose is to provide advice and guidance to societies who would like to expand their areas of work; however, for others it will provide an insight into the breadth of work that civic societies around Wales engage in. New case studies will be added as developed. 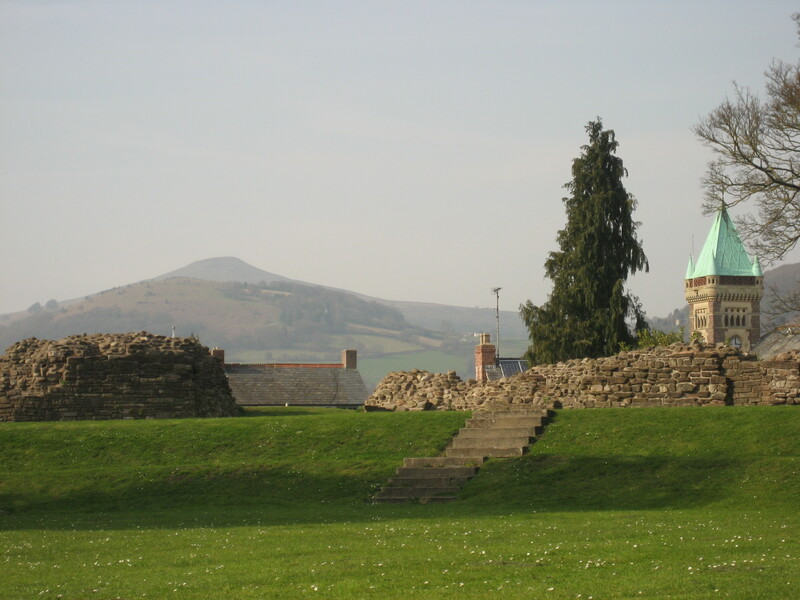 In 2009 Abergavenny and District Civic Society was on the point of closing down due to dwindling membership, a decreasingly active committee and an events programme consisting only of talks. Local residents Tony and Sue Konieczny and architect Stefan Horowskyj were keen to turn the Civic Society back into a proactive working civic society and together created a new committee under the chairmanship of Alan Michie, a retired local businessman. The Society now has a number of successful projects completed, and others ongoing, and has a membership of over 100, as well as 15 affiliated businesses. Presentation on the current activities of the Abergavenny society. The case study Rebuilding a civic society_Abergavenny explains how the Society has rebuilt itself. Each year Wrexham Area Civic Society (Facebook) presents awards for the best recent architecture, landscape and environmental projects in Wrexham County Borough.The event aims to encourage the promotion of high standards in planning and architecture throughout the Borough by issuing and publicising awards to the worthy recipients. The awards also serve as a good advertisement for the Society as well as an opportunity to bring new people into the society. The case study ‘Civic awards_Wrexham Area Civic Society‘ explains the Society’s awards, why they hold an annual award and how they organise them. With thanks to by Nick Roe, Secretary of Wrexham Area Civic Society and Geoff Foy, Chairman. Like many other societies Cardiff Civic Society maintains a watching brief over the planning application list and, where relevant, makes comments and responses to major applications and other selected applications of note. For many years a representative of the society also sat on the local authority’s conservation area advisory committee, but this has proved difficult to sustain. However, in addition, and potentially with a more far reaching impact, the civic society engages with the local authority’s planning policy process. 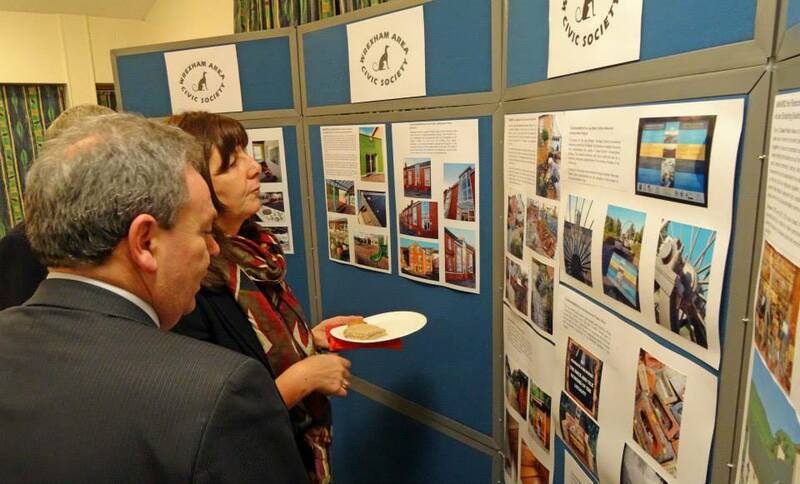 The case study Engaging with the planning process_Cardiff explains how Cardiff Civic Society are working to get their voice heard with their local development plan process. With thanks to David and Jeanne-Helene Eggleton of Cardiff Civic Society. 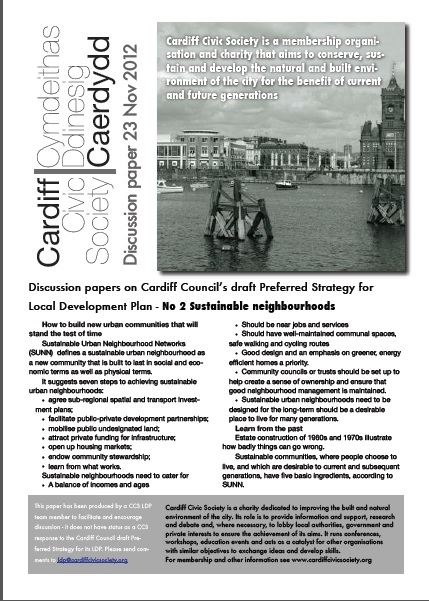 A collection of the Society’s responses and submissions to the LDP can be downloaded here: ‘Cardiff Civic Soc LDP responses‘. Wallace with a portrait and dedication. This case study Blue Plaques and plaque trails_Usk explains the process Usk Civic Society followed to achieve this number of Blue Plaques, as well as the plaque trail and finger posts that encourage visitors to look at the plaques. The case study also discusses possible sources of funding that may be help other societys wishing to designate their own blue plaque(s). 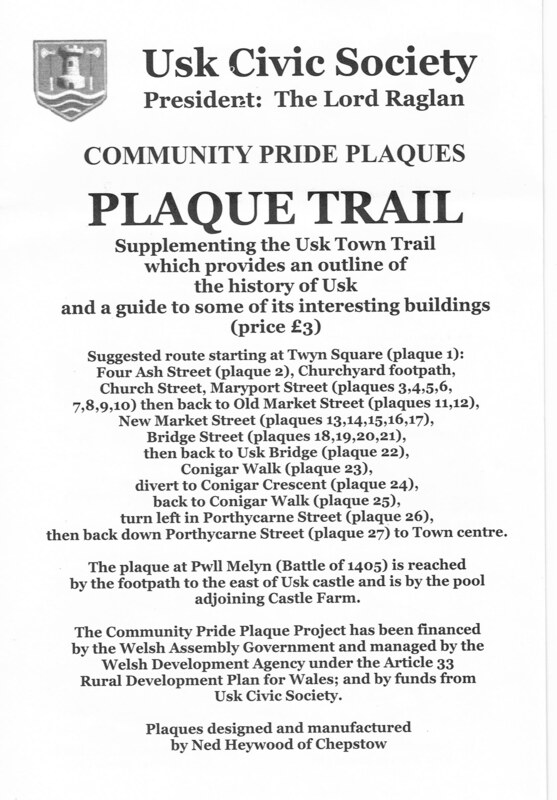 *Postscript: 10th February 2015 – The Usk Blue Plaque case study refers to Cadw’s Civic Initiatives (Heritage) Grant. We have just noticed the following comment on Cadw’s page about the Grant: “The Civic Initiatives (Heritage) Grant Scheme is currently under review, and we are not accepting any new applications under this scheme”.